A legal separation presents immediate problems if you put your estate planning documents on pause and don’t take the time to protect yourself and your loved ones. Even if you’re still determining the future of the marriage, leaving the possibility open that your spouse can make decisions on your behalf can be quite problematic. Separation does not automatically mean that spousal rights are extinguished entirely. 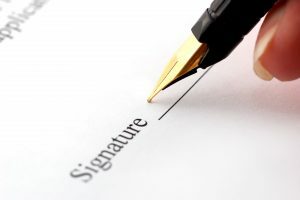 If you want to ensure that someone other than your currently estranged spouse is able to take legal action on your behalf or even plan your funeral, you need to have a health care directive and other documents in place. The tragic deaths of Anthony Bourdain and Kate Spade both illustrate the challenges of estate planning from the perspective of being separated from a spouse. If someone is not legally divorced from an estranged spouse, this can present problems along into the future and ones that can be easily guarded against by scheduling a consultation with an estate planning attorney. When you get separated, you need to update all of your legal information and have a consultation with a lawyer about what issues need to be clearly and fully addressed in your estate plan. Your estate might end up being bankrupt unless you protect against very particular threats. 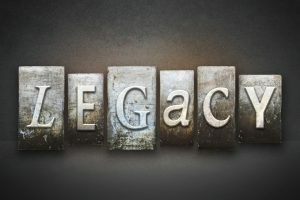 Whether you are a family with plenty of wealth, a middle-class person, or a successful business owner, if you haven’t completed the process of asset protection planning and shielded yourself against the possibility of lawsuits, your entire legacy and all of the assets you have worked so hard to build and save could be on the line. Comprehensive estate planning without asset protection leaves you exposed to the risk of just one lawsuit. These lawsuits can be financially ruinous and can devastate your loved ones for generations. Conventional estate planning in conjunction with asset protection planning, must be done in order to ensure that you are sending along the maximum amount when you pass away. Furthermore, you need to protect your current wealth from being devastated by lawsuits prior to passing away. 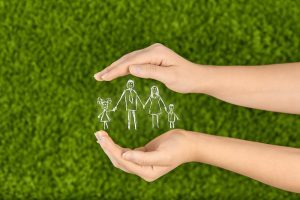 Since traditional estate planning only encompasses half of the problem, you need to ensure that your lawyer is thoroughly experienced in the asset protection planning process. What Happens If You Rely on Beneficiary Designations Alone to Transfer Your Assets? Are you concerned about what will happen to your assets after you pass away? If so, you may be ahead of the curve of many people who have not even contemplated the benefits of estate planning. However, updating your beneficiary designations alone, doesn’t always mean that you are fully covered with regards to protecting how these get transferred. Assets that are transferred at death via appropriately completed beneficiary designations affect many different types of assets. All of your documents should be updated with your underlined goals in mind which means addressing not just the beneficiary designation forms but also all of your other legal documents, including your power of attorney, healthcare proxy and existing trusts. There is no doubt that divorce represents a significant upheaval of everything you have come to know, however, an estate planning attorney can help you navigate these complexities and ensure that you have a plan to address all of the relevant issues linked to ending your marriage. In addition to your beneficiary forms, keep on track with all of your goals for your estate planning in general, including updating your will and your trusts. Are you contemplating using a tool such as an irrevocable life insurance trust? You need the support of an attorney who has helped many other people. Craft these trusts before to ensure that all of the provisions appropriately protect you and are legally valid. Simply put, estate plan attention must be given to your irrevocable life insurance trust. If someone has joint trustees listed on an ILIT, one common question brought forward by clients is whether or not the beneficiaries will be able to keep those funds out of the estates of beneficiaries. While this may seem like a cost-effective step to list two of your children on the ILIT before the second death, it is important that everyone understands the requirements of being a trustee and how to appropriately accomplish them. It might also be beneficial to contemplate transferring the trustee powers to a third party, assuming that the beneficiaries intend to access the funds for their own purposes. If not, the IRS may determine that this is actually a trust fund inside the personal estate of the beneficiaries. 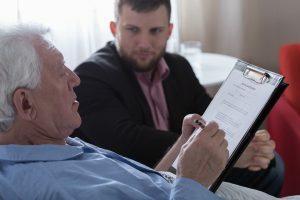 A consultation with an estate planning attorney can go a long way towards addressing issues and questions you may have over the duration of the process. 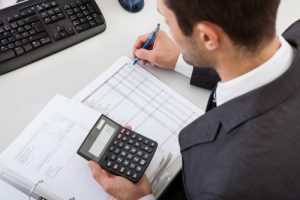 Day to day financial management, liabilities and assets are all of unique concern to people in second marriages or blended families. Whether you are remarrying after the death of a spouse or after a divorce, it is important to enter into this with new and smart financial planning. There are many different things to consider, including how you will address your future financial wishes and your current financial situation. It helps to begin with a comprehensive review of your liabilities as well as your assets. These liabilities can include student loan debt, credit card balances, mortgages, car loans and more. Your assets can include a house, stocks, bank accounts, cars, insurance contracts and more. 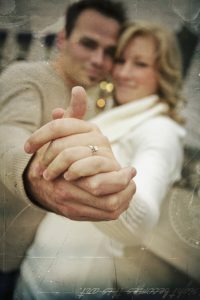 The day to day financial obligations should also be addressed with a new spouse. How will the monthly bills get paid? Some couples choose to put everything in a joint account, whereas others choose to have separate checking account and split their expenses in that manner. No matter what you select, it’s important to engage with an estate planning lawyer and a financial advisor to help. 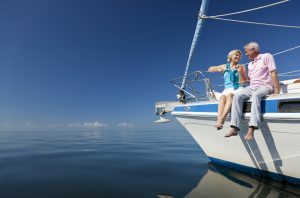 Selecting a financial advisor, much like choosing an estate planning attorney, is a very personalized process and one that must be done with extra special care. Identification that you have selected the wrong financial advisor could come with many problems. Poor communication, a generic approach that doesn’t take your unique concerns under consideration, and high fees are some of the most common complaints lodged against financial advisors. It’s much easier to avoid a mistake in the first place by selecting the right financial advisor, so there are three major things that you should never do when you are thinking about hiring someone to work with. The first is believing everything that an advisor says. Much like any other professional, it’s valuable to get insight from an advisor but you should not take everything they say as completely accurate. Never enter an important relationship without a high level of trust. Another thing you should avoid doing is believing nothing that an advisor says. If you’ve already been disappointed by someone in the past, there’s no doubt that you’ll be hesitant about whether or not to believe what this current person is telling you. But disbelieving everything they say could be a mistake. Finally, don’t forget the difference between delegating to an advisor and doing some work of your own. Outside professional advice is extremely important in articulating a plan that addresses your individual needs, but it is equally important to ensure that you have done your homework on your end when your advisor gives you materials or suggestions. 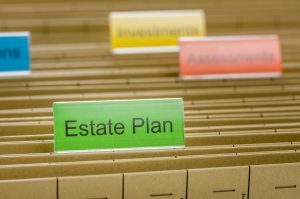 What Happens When Your Estate and Your Business Planning Combines? As you are discussing things with your estate planning attorney, you may have already started or are considering starting a new business venture. You will have individual estate planning as well as business planning concerns that may have separate sections for estate planning and may be interconnected in some ways. 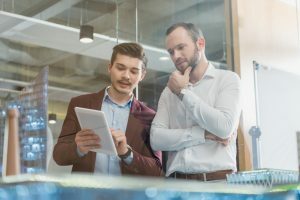 There is no better time to protect your business than at the start of launching a company, but you can still benefit from business succession planning and estate planning if you have already been in business for some time. One of the most important things to protect is your trade name when you launch a company. The name of a business is one of the issues that is resolved first in launching a new venture, but often, clients don’t give much thought on how to protect that name because they don’t realize that there is much to protect or are too busy with other issues. There is no better time, however, to protect your business’s name at the start of its use, simply because starting a new business doesn’t mean that your firm is automatically protected. Additional effort is required and may involve other professionals such as an intellectual property attorney in addition to the estate planning professional you are currently working with. Scheduling a consultation directly with an attorney who can advise you about how your individual estate planning and your business succession planning may intersect, is important. 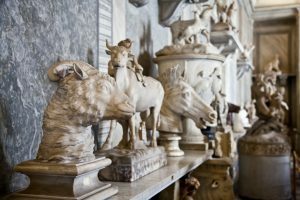 If you have valuable collectibles or art that should be a part of your estate plan, make sure these are not accidentally left out. Unfortunately, many people don’t even realize the true value of the art they hold inside their estate. A recent study identified in 2017 that more than 80% of collectors did indeed view their art collections as a form of investment but unfortunately, even these high net worth collectors may not appropriately plan for the distribution of these very valuable assets. Thinking well in advance about how you may accomplish particular estate planning goals must incorporate your unique collections. You may assume that your collection has greater sentimental value, but it might also have a financial value that could cause in-fighting among family members or other challenges, should you exclude it from your estate plan or leave confusing or unclear plans. The IRS classifies collectibles as rugs, works of art, antiques, any gems or metal with some exceptions, stamps or coins, alcoholic beverages with a high value or any other personal property that is tangible that the IRS may view as collectible. There are two primary ways you may be able to distribute your collectible property; donating them to a charitable organization or leaving the assets to your heirs. In either case, you’ll want to ensure that you have the estate planning materials and strategies in place well in advance. Long term care insurance is known as one of the most expensive forms of insurance out there and it is extremely important for people to have long term care insurance coverage. 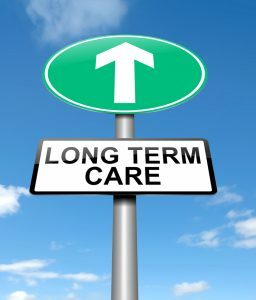 Long term care insurance coverage provides a critical stop gap in the event that someone becomes suddenly disabled or affected by a cognitive or physical issue that renders them in need of nursing home care. New life combination policies have emerged to step in where traditional long-term care insurance falters. Traditional sales of long term care insurance policies have dropped by 60% since 2012. A newer option for ensuring against the risks of long term care costs includes universal life insurance that has long term care protection. In 2012, only 86,000 of these policies were sold, but that number surged to 256,000 in 2016. 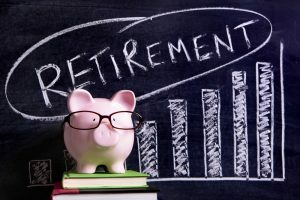 Nearly half of retirees have indicated that they are not confident they will be able to pay for their own long-term care, according to research gathered and presented by the Employee Benefit Research Institute, and even higher portion of workers share that same concern. 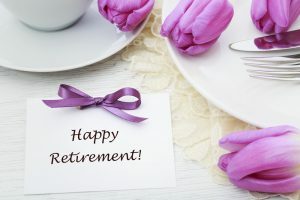 And a 2016 study conducted by LIMRA found that the number of retirees concerned about long term care expenses has increased from 2006 numbers by 13%. If you are curious about how to thoroughly protect yourself against the cost of long term care and ensure that you have made the move to get help quickly and easy one, contact an experienced estate planner today.